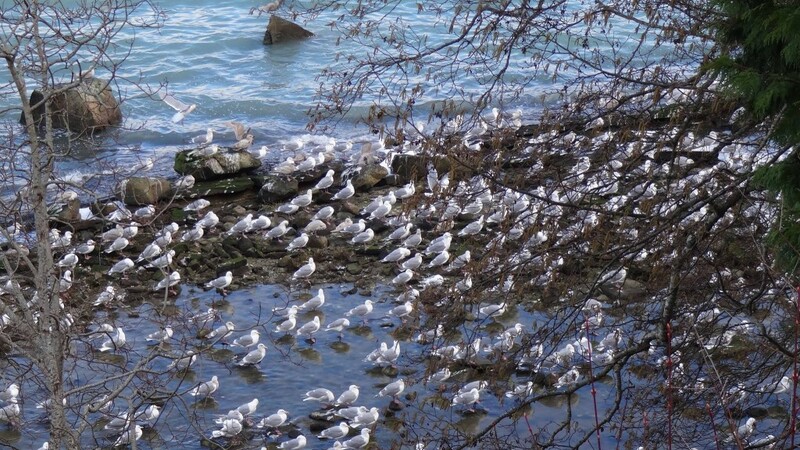 Every year in late February or early March the waters off Denman Island turn into a churning, noisy mash-up of marine and bird life. It’s a phenomenon that’s been going on for 3.5 million years and it’s all because of a small, silvery fish: the herring. 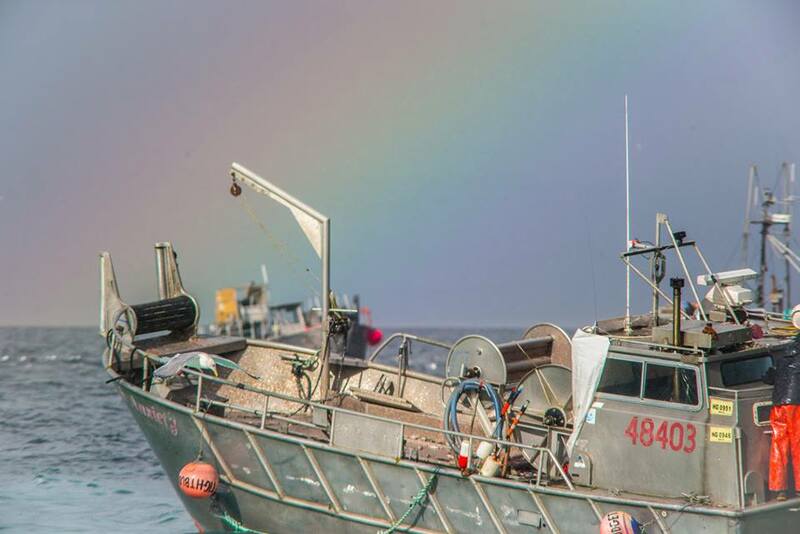 The beautiful, mystical phenomenon of acres and acres of herring dimpling the surface like a rain of diamonds. The focus of all this attention is the Pacific herring (Clupea pallasii when we’re being formal). They are a forage fish. 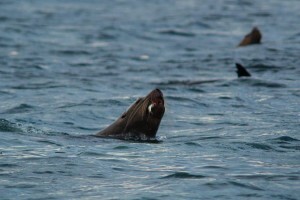 That means they live near the surface and are a dining delight for any number of predators. 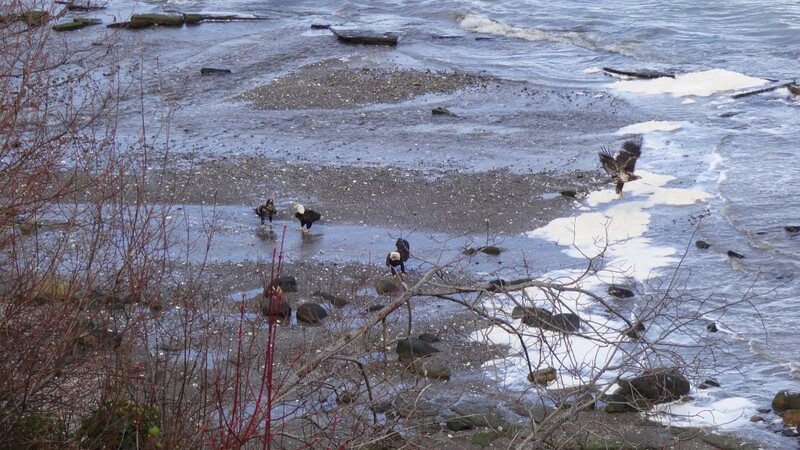 “Few people realize that the waters around Denman Island are home to the most important herring run on the Pacific Coast,” said Barbara Mills, co-chair of the Association of Denman Island Marine Stewards. The volunteer group is a registered non-profit society that works with government and the public to protect the local marine eco-system. 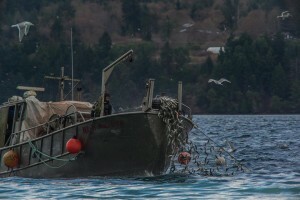 Mills said the large herring spawn takes place in Baynes Sound – the body of water between Vancouver Island and Denman Island – and Lambert Channel, the body of water that separates Denman and Hornby Islands. The spawn extends as far south as Qualicum Beach and as far north as Kye Bay, just north of Comox. 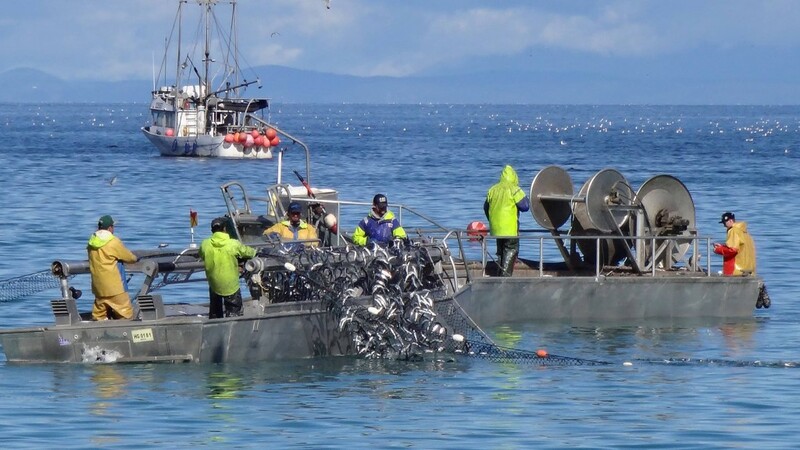 “This vibrant area is critical to the health of the Pacific Coast in its role as an ideal nursery for herring and other forage fish, that serve to sustain the marine food web,” said Mills. 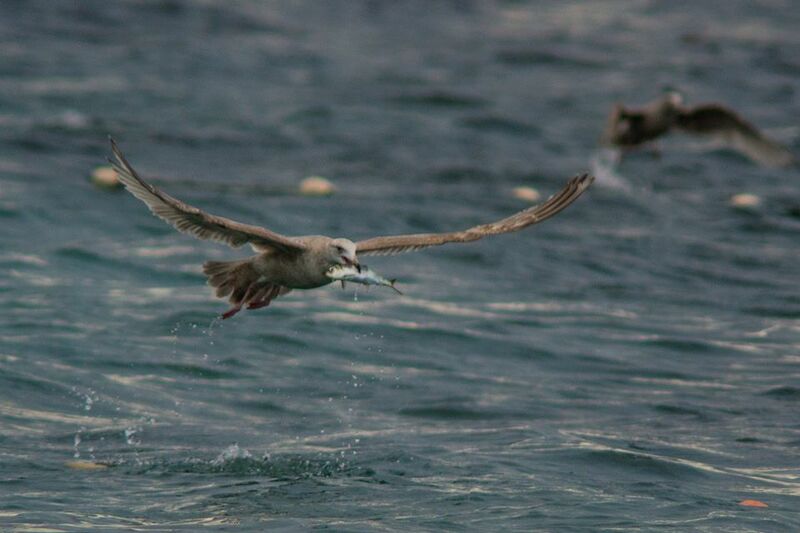 Herring live an average of 10 years, though some are believed to live up to 20 years. Adults range in length from 25 – 33 centimeters (10 – 13 inches) and weigh about 183 grams (6.5 oz). They return to the waters of their birth in order to spawn. There, over a period of four to five days, the females individually produce between 9,000 to 38,000 eggs – depending on the age of the spawning fish. The tiny (1.2 – 1.5 mm) eggs are sticky and adhere in masses to eelgrass, kelp, rocks and pilings. 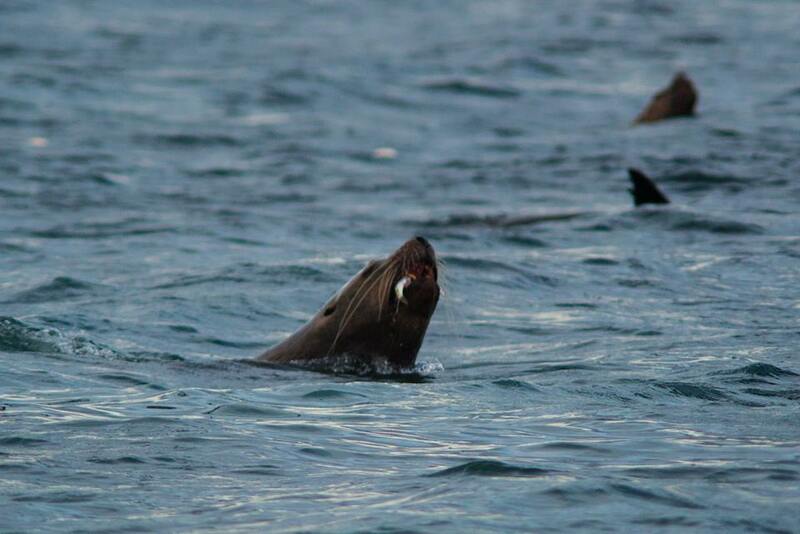 Both the eggs (roe) and/or the fish are a tasty treat for all kinds of birds and animals. Eagles dive the waters, adroitly avoiding the throngs of screeching seagulls. Herons elegantly dip their beaks to scoop up a squirming fish. Meanwhile, squawking seals and sea lions dip and bob, then – when satiated for the time being – loll on their backs with one fin aloft, honking periodically as if to say “enough, already!” Otters, ducks, crows, and osprey all join in the feasting. 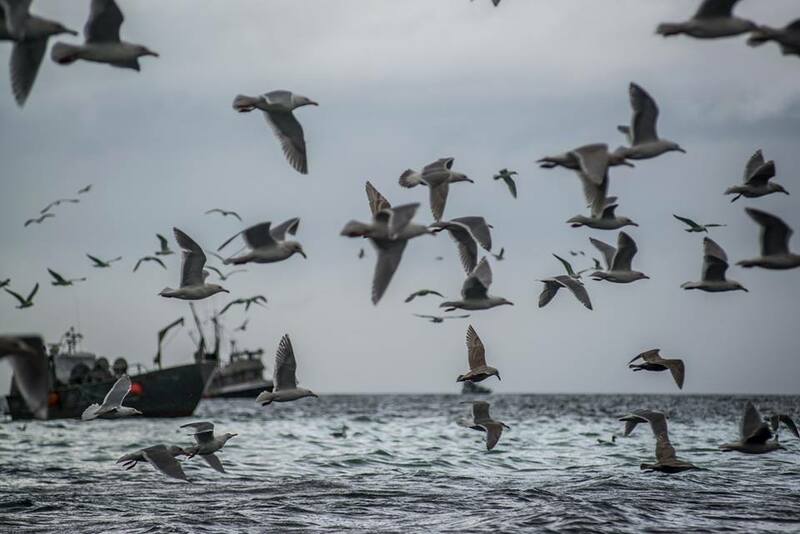 Forsyth said the herring feed is crucial for meeting the energy needs of the Scoters for their migration, which starts as far south as Peru and extends as far north as Alaska. The only contact Canadians tend to have with herring is to use it as bait to lure a Coho, Pink or Chinook salmon – all of which consume herring as part of their fishy diets. We Canadians don’t often eat herring, although science writer Jude Isabella pronounced the fish delicious when fried. “They had a taste similar to the meatiness of salmon without the bombast,” she wrote in The Tyee online magazine. Herring roe from B.C. are considered a delicacy by people in Asia and have been so prized that the commercial fishery collapsed in the late 1960s as a result of over-harvesting. 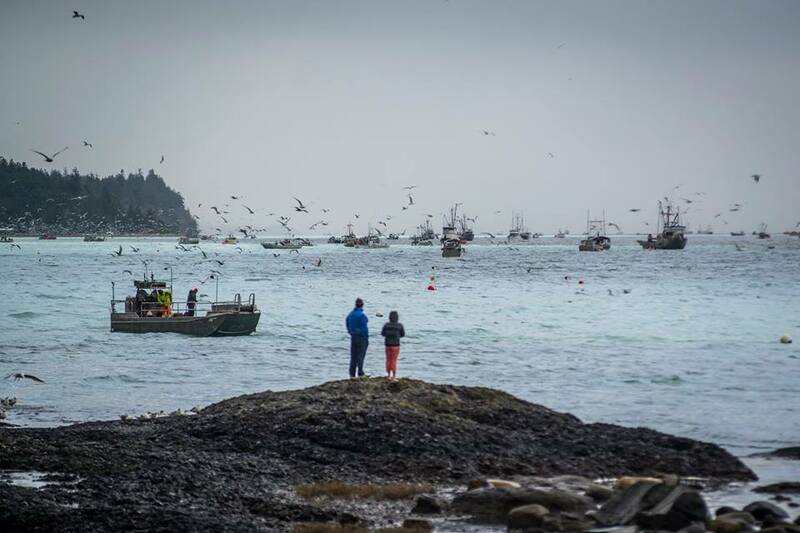 Fisheries and Oceans Canada now monitors herring numbers closely and carefully controls the commercial fishery. 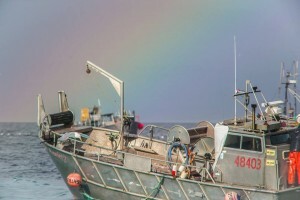 In waters where fishing is permitted, licensed commercial gillnetters and seiners may harvest the entire annual fishery quota in as little as one day. 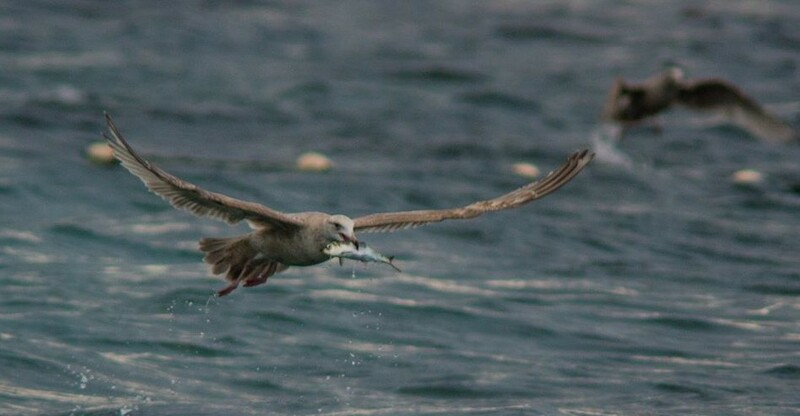 Herring generally spawn close to shore, making it challenging for commercial fishers but a delight for onshore observers. Denman Island’s Fillongley Provincial Park is a particularly good spot to watch the run. Then they return to their natal waters and the ancient spawning cycle takes place again. Bendell, L.I. and McKeachie, S., Baynes Sound and Lambert Channel; An ecosystem in need. Un-published presentation abstract. Denman Island Residents Association, 2015 annual general meeting. Note to dog owners and parents: please don’t let your pets or children chase the wildlife. 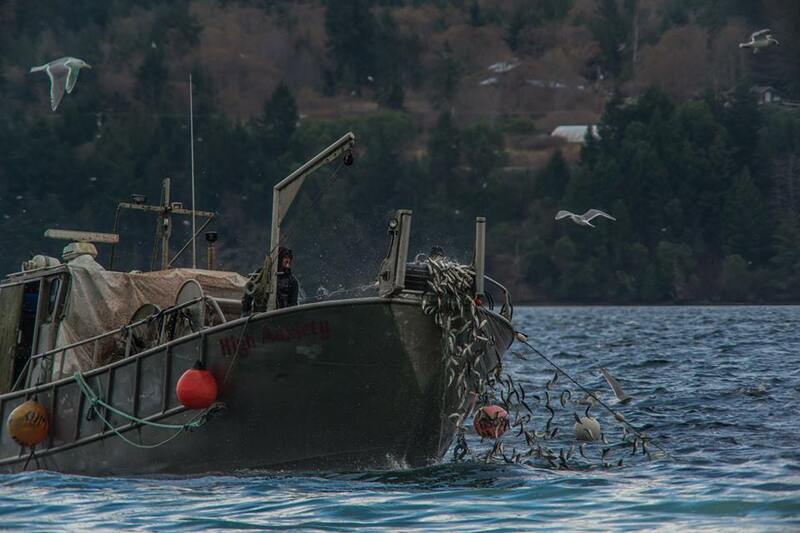 This behaviour has been observed during the herring run on Denman Island. 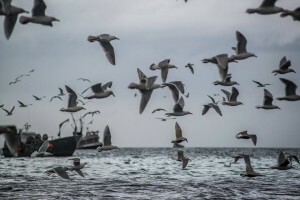 Harassing wildlife is illegal and can be a death sentence for migratory birds, which must load up on as many calories as possible to fuel the energy demands of their migrations.